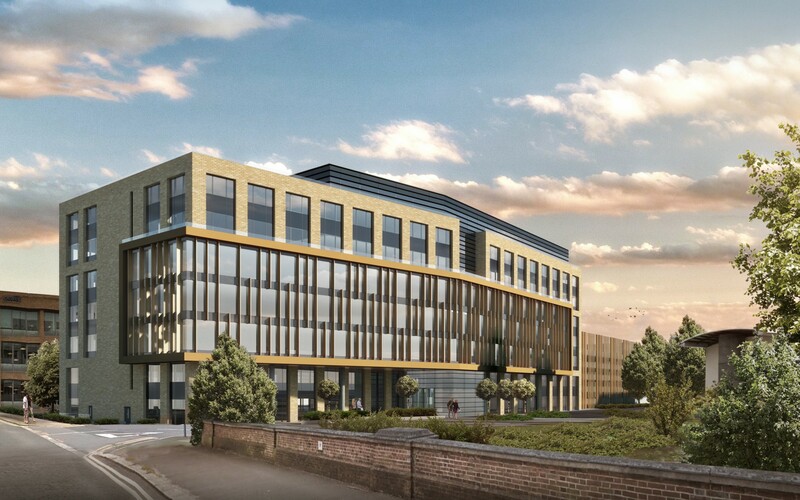 A new-build project located in a key commercial context of Uxbridge, London. The original building was constructed in the late 1960s and was subject to being re-clad with a new façade in the late 1990s. As such the proposal is that both the existing multi-storey car park and existing building are demolished. The new Bridge House will become a 9 storey (including basement) office building with an adjacent 7 floor split level multi-storey carpark. The office will have compliant car & cycle parking provisions, enhanced public landscape within the area focusing on the inclusion of a Cafe and the Grand union Canal Path within the site plan. Bridge House is a new-build project located on a Gateway Site at Uxbridge.